Tourist season is starting. I thought it would be nice to be prepared for when they stop me and ask for directions. 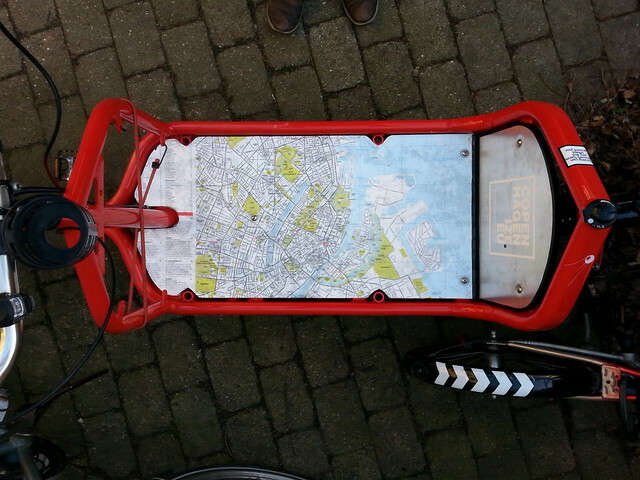 So I glued a Crumpled City map onto the Bullitt. 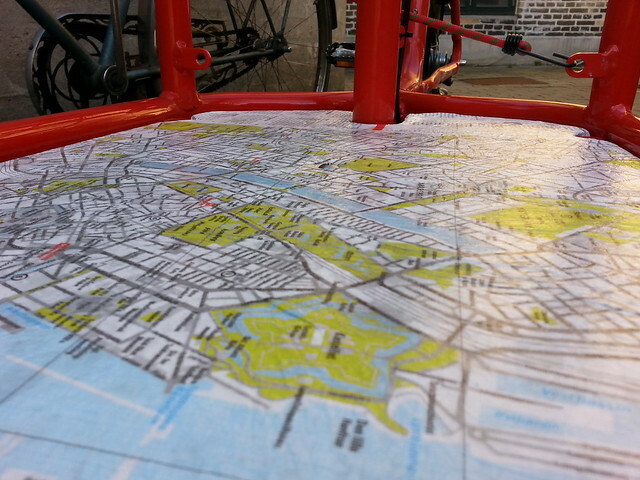 The Crumpled City maps are rip-proof and waterproof and generally pretty tough. 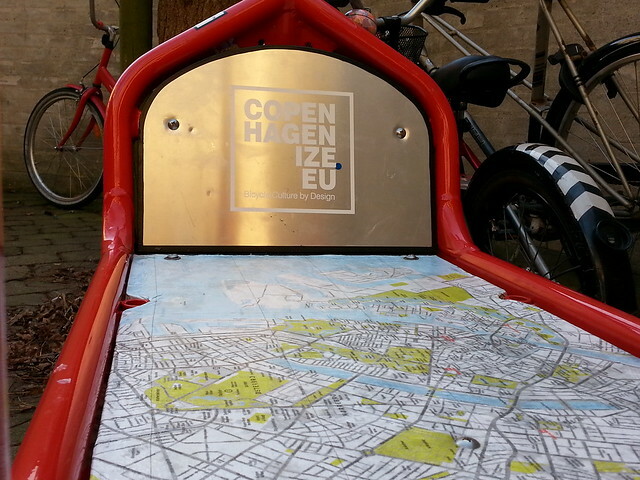 So with some glue underneath and some varnish on top, I'm ready for the lost, wandering herds of visitors to Copenhagen.